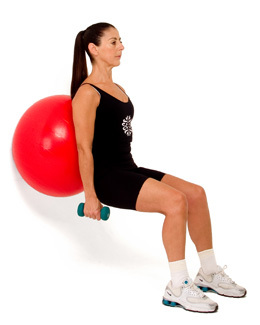 This is the starting position for the next few exercises. Start with your knees flexed to 90 degrees. This position increases the level of difficulty and requires more balance.